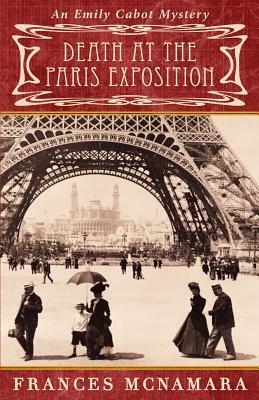 In the sixth Emily Cabot Mystery, the intrepid amateur sleuth's journey once again takes her to a world's fair-the Paris Exposition of 1900. Chicago socialite Bertha Palmer has been named the only female U. S. commissioner to the Exposition and she enlists Emily's services as her social secretary. Their visit to the House of Worth for the fitting of a couture gown is interrupted by the theft of Mrs. Palmer's famous pearl necklace. Before that crime can be solved, several young women meet untimely deaths and a member of the Palmer's inner circle is accused of the crimes. As Emily races to clear the family name she encounters jealous society ladies, American heiresses seeking titled European husbands, and more luscious gowns and priceless jewels. Along the way, she takes refuge from the tumult at the country estate of Impressionist painter Mary Cassatt. In between her work and sleuthing, she is able to share the Art Nouveau delights of the Exposition, and the enduring pleasures of the City of Light, with her husband and their young children.